Vision screening for distance and near vision acuity for students in Kindergarten, Grades 1, 3 and 5. In addition color perception screening for all newly entering students. Hearing screening is completed in Kindergarten, Grades 1, 3. and 5. Scoliosis is completed for Grade 5 girls only. Health Examination is required for all newly entering students and when students enter Prekindergarten, Kindergarten, Grade 1, Grade 3 and Grade 5. This physical should be completed up to one year prior the first day of school. The examination must be completed by a New York State licensed physician, physician assistant or nurse practitioner and on the approved NYSED Student Health Examination Form for School. A dental certificate is requested for all newly entering students and students entering Kindergarten, Grade 1, Grade 3 and Grade 5 . If there are any unusual findings or cause for concern you will be contacted. If your child plans on participating in the Holy Family School basketball program a health examination is required prior to first practice. Please give your child a good start by making sure that he or she is eating a good breakfast. Children that eat breakfast do much better academically. 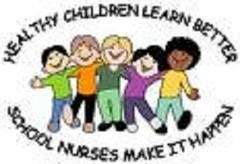 A child who is sick will not be able to perform well in school and is likely to spread the illness to other children and staff. We suggest making a plan for childcare ahead of time so you will not be caught without a comforting place for your child to stay if he/she is ill. If your child has a fever, is vomiting or feels sick in the morning or during the night, please keep him/her at home.